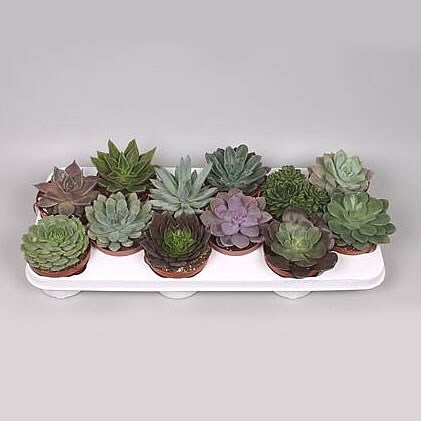 Echeveria Plants in 10cm pots. Approx. 10cm tall (bottom of pot to top of plant) & wholesaled in trays of 12 plants. (Also known as Desert Roses).